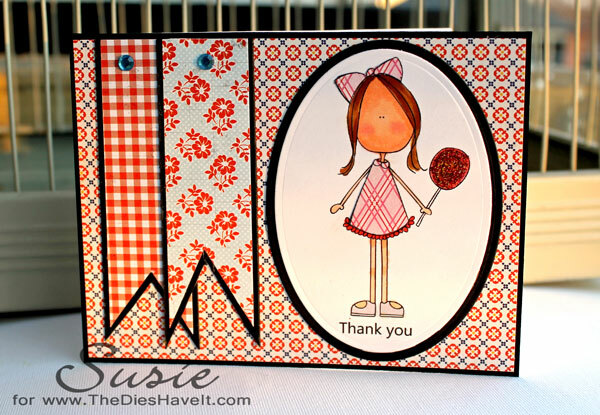 Here is a quick little card using a digital stamp from Lori Boyd. Everyone knows she is one of my absolute favorite artists! The papers are from Lily Bee Design and Echo Park. 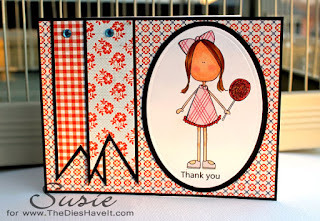 I love mixing patterns on a card. It just takes a black mat to pull them all together! Another fun technique I adore is paper piecing. The dress and bow are pieced here. I hope you like my card today. I'll be right back here tomorrow with another one.